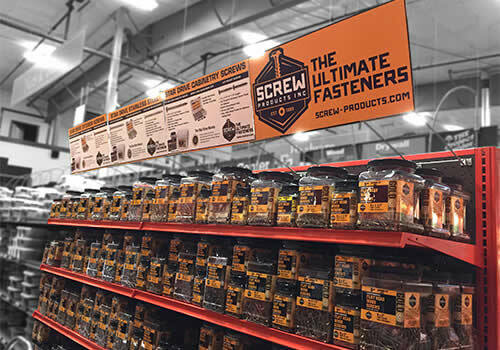 Home of The Ultimate Fasteners! We're Fasten-ating! 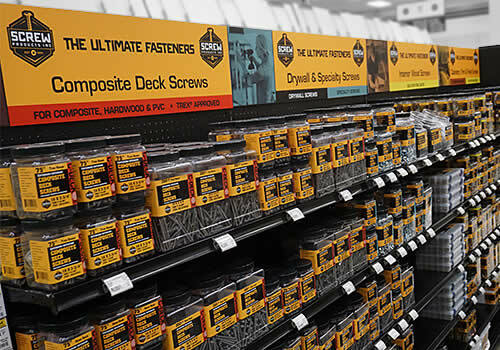 The Ultimate Star Drive Wood Screws, DeckLok® - The Advanced Lateral Anchor, The Ultimate Hidden Deck Fastener & More! 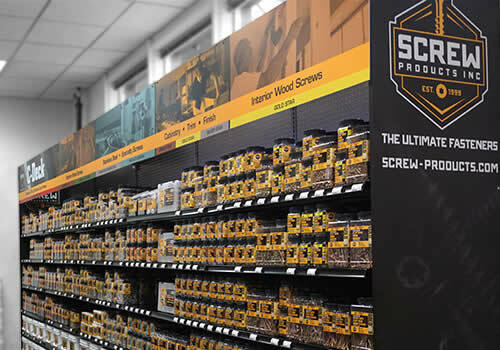 Screw Products, Inc carries the Ultimate Star Drive Wood Screws! Click to find more information on our product lines below or view Product link above. The Ultimate Interior General Purpose wood screws! Triple yellow zinc coating for hard or soft woods. Available in 1” to 14”. The Ultimate Corrosion Resistant wood screws! 305 stainless steel for chemically treated materials, high moisture, or other caustic conditions. Available in 1-1/4” to 4”. The Ultimate AC257 Compliant wood screws! Triple Coated Bronze great for use with chemically treated lumber. 1200 hour ACQ & salt-sray approved! Available in 3/4” to 6”. 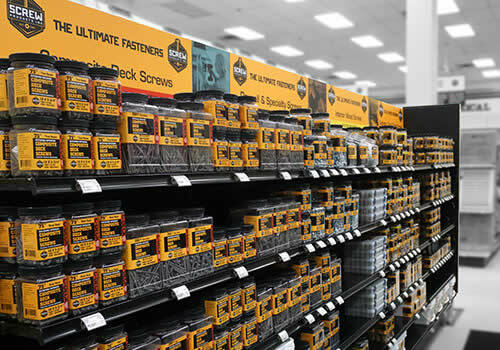 The Ultimate Wood to Steel Screw specifically for fastening wood to steel or aluminum. Now with corrosion resistant coating! Available in 1-5/8” to 3-1/4”. The Ultimate Composite Deck Screw! 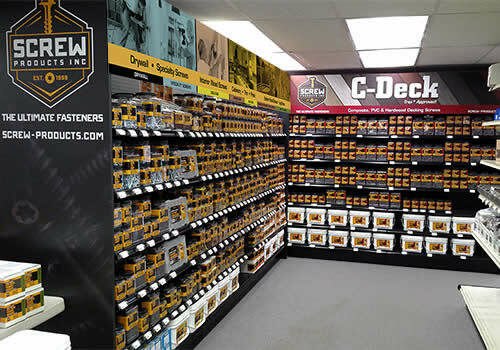 2-3/4” Exterior E-coat color matched to 23 common decking boards! 1-3/4” for fascia, fencing and railing! TREX® Approved! Click to download our Color Match Chart. 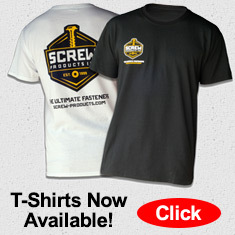 The Ultimate Woodworking Screws! 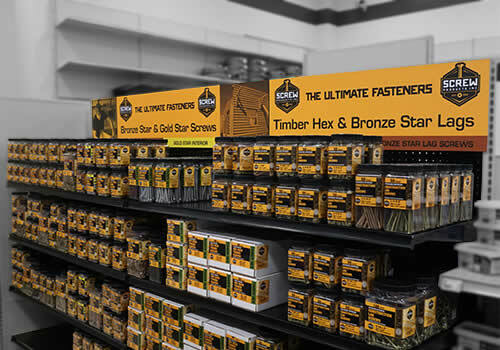 Interior & Exterior fasteners for hard or soft woods. Finish, Pocket and Cabinet screws. Available in 1-1/4” to 3”. See our Star Drive Cement Board and Tapcon Masonry (Phillips Drive) screws. The RailLok® brackets provide a strong, reliable railing to post connection. The brackets are built to outlast the service life of the railing. The Ultimate Hidden Deck Fastener! 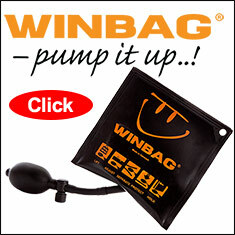 Requires no pre-drilling, glue or under deck work! Holds tight & is completely out of sight! See our popular Deck2Wall Spacers. Don't let your deck rot your house! 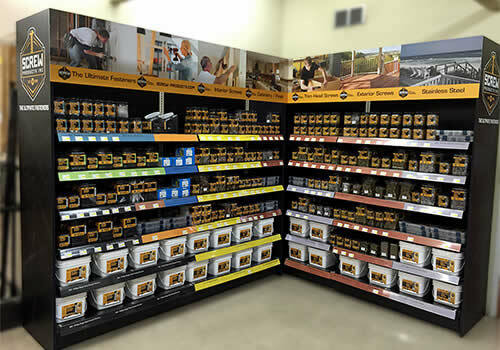 The Ultimate In Convenience! Economical and compact, these assortment kits are the perfect accessory for your home, garage, workshop or truck! The Ultimate Metal to Metal Screw! Our M2M Metal to Metal screw is the perfect option for getting through that heavy gauge steel!